Vision Forum arranges international meetings and seminars around the globe. These are predominantly organised within research groups and ongoing projects. 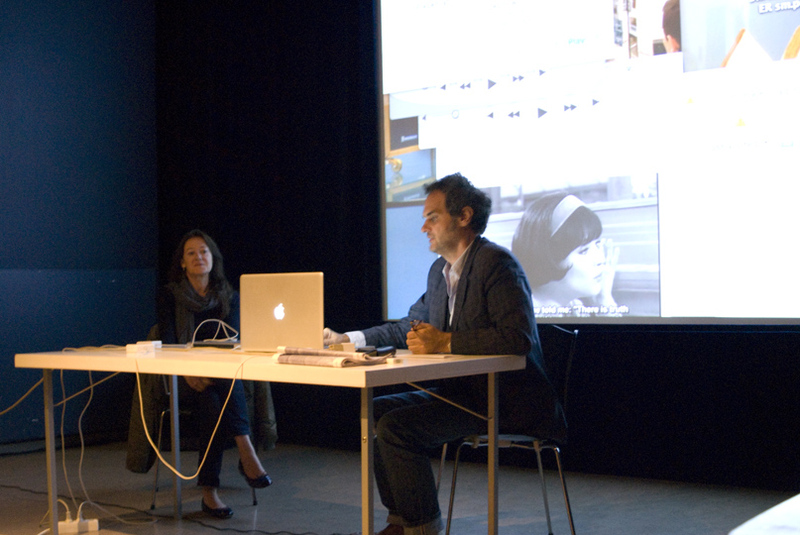 Vision Forum also builds dialogues with new audiences using various media and by creating interdisciplinary platforms. These platforms allow people from different disciplines and different parts of the world to meet who would otherwise remain separated. • What is Habit? Fullersta Gård, Huddinge. • Morgondagens konstpublik spring meeting, Norrköpings konstmuseum and CNEMA. • Riding the Donkey Backwards, Global Media Café: A Second Home: Mediating Borders and Hospitality, Stockholms universitet Stockholm. • Riding the Donkey Backwards, Fullersta Gård, Huddinge. • Riding the Donkey Backwards, Stockholm and Antwerpen. • Morgondagens konstpublik höstmöte, Norrköpings konstmuseum, Hallarna and Kifin. • What is Habit? workshop in private and public spaces in Stockholm. • Autumn Meeting 2014, Norrköpings konstmuseum, Skärblacka and Finspång kommun. • Vision Forum Spring Autumn Meeting 2014, Norrköping and Finspång. • Vision Forum Spring Meeting 2014, Flygvapenmuseum Linköping and Norrköping. • INFRA, Westminster Reference Library, London, UK. • Performing Objects, Enough Room for Space, Brussels, Belgium. • Vision Forum Autumn Meeting 2013, Norrköpings konstmuseum, CNEMA, Visualiseringscenter C and public spaces in Norrköping and Söderköping. • OuUnPo Japan, Godzilla and the Phoenix, Mori Art Museum, Spiral, Bankart 1929 and many more venues in Tokyo and Yokohama. • Temporality and Dis-Location of Self, four workshops in around Stockholm, Botkyrka konsthall, Hallwylska palatset and various public locations. • Vision Forum Spring Meeting 2013, Linköpings Universitet. • OuUnPo Lebanon “QUANTUM FLUCTUATIONS OF A SYNECDOCHIC UNIVERSE”, Ashkal Alwan, Beirut Art Center, 98Weeks, Musée National de Beyrouth, UMAM Research and Documentation Centre and Batroun Projects. • Vision Forum Spring Meeting 2012, Norrköpings konstmuseum, Verkstad, Norrköping and public venues in Skärblacka. • Ouunpo-rto, Culturgest, Casa de Musica, Fundação Serralves and other institutions in Porto, Portugal. • Think Again, Mingshen Museum, Rockbund Art Museum, FCAC, 2666 Library, Shanghai, China. • Community without Propinquity (curated by Claire Louise Staunton), MK Gallery, Milton Keynes, UK. • (In)Visible Dialogues, curated by Lena Boëthius, Konstakademien, Stockholm, Sweden. • The Stockholm Syndrome, Kungliga Konsthögskolan, Stockholm, Sweden.